Cambio has scored a pair of tickets to almost EVERY U.S. date on Demi’s Summer Tour 2012. THAT’S 19 PAIRS OF TICKETS IN TOTAL! 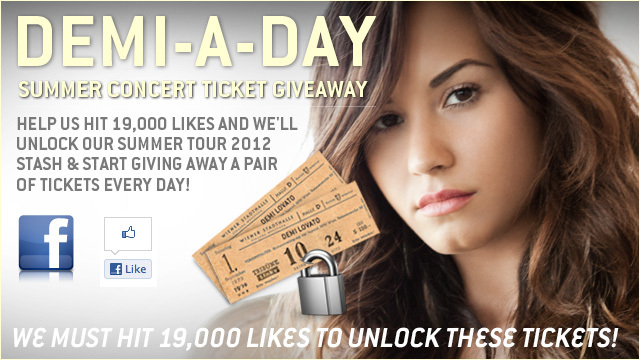 To enter for a chance to win click the “Like” button on our Demi-A-Day page and fill out the form. Hurry, you must enter before 9:00am EST / 6:00am PST on June 18, 2012.